Even thinking about the concept of sewer repair makes normal people cringe. This is definitely a job that is best left to professional plumbers because it deals with a particularly unsavory side of plumbing that is the removal of waste from our homes and businesses. Where this waste goes is primarily dependent on where you live. If you’re out in the country or in a more rural area, then you may have a septic tank. This is a huge underground tank that contains your waste and sometimes allows it to slowly break down. If you are inside of city limits, then you are probably hooked into the public sewage system. This removes all of your waste and sends it to a water treatment plant. Here, it is treated chemically and sanitized. Then, it can be piped back to your homes without the worry of any kind of contamination. The actual history of sewers dates back to ancient times, and it’s extremely fascinating. The first sewers were seen around 3500 BCE. The Orkney Islands in Scotland actually show some of the earliest drainage systems for waste materials. These were effectively systems that were placed into the walls of homes and could be drained outdoors or into outlying bodies of water. As societies continued to migrate, we started to see many different variations of sewage removal in places like Babylonia and Mesopotamia. This gave way to the origin of the cesspool. This was essentially a communal place for people to use the restroom within their homes. The discovery of pipes began as early as 4000 BCE in Babylonia. This was discovered after people begin to realize the need to get the waste materials away from their homes. Now, we see all sorts of different technologies available to keep sewage away from residential areas and to improve sanitation. Even trenchless sewer repair costs are now low enough to offer almost everyone state of the art sewer repair technology. The Minoans were the next to make huge advances in the areas of sewage. They actually took steps to use gravity to pipe waste away from their homes. The Romans took this concept and expanded upon it and added amenities that moved throughout their cities. They had some of the most advanced plumbing of any civilization at that time. Around 500 BCE we began to see revolutionary new concepts like copper pipes in Egypt that carried both warm and cold water in and out of homes. They turned to the use of sand to essentially capture their waste, and then have this removed on a daily basis. Not only was this much cleaner, it was also much more appealing in close quarters. China and Rome continued to make huge strides in the use of city pipes. The use of indoor plumbing didn’t really become popular in America until the 19th century. This is the time when people began to actually settle down and consider the best way to pipe water into their homes. This didn’t include the removal of waste materials until a bit later however. For waste removal we used things like the outhouse and slowly progressed to indoor toilets. The idea was already popular overseas, but Americans were still settling and many didn’t have permanent residence. We’ve come an incredibly long way from creeping out in the middle of the night to use the restroom. There are now fantastic sewage systems that allow us to live in cities that are both clean and efficient. 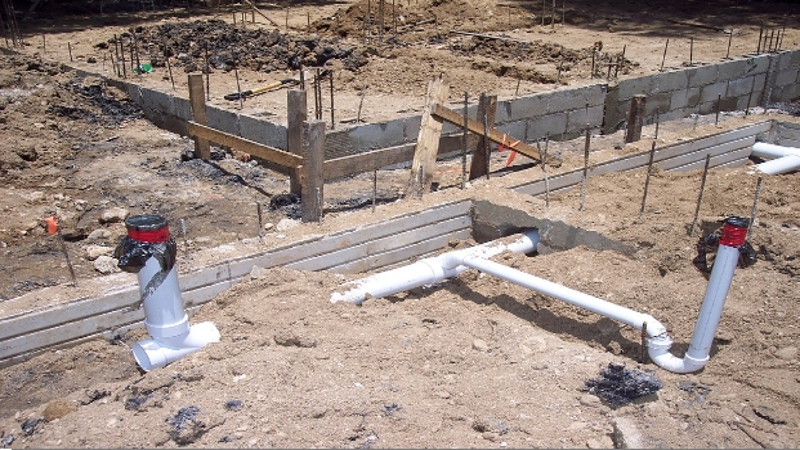 Fortunately, these up-to-date sewage systems also come with up-to-date professional plumbers. When dealing with sewage issues, make sure to call someone who specializes in this particular area.